Each time a card(s) is added to your Extra Deck, place 1 Spell Counter on this card (max. 3). You can send this card with 3 Spell Counters to the Graveyard; draw 2 cards. 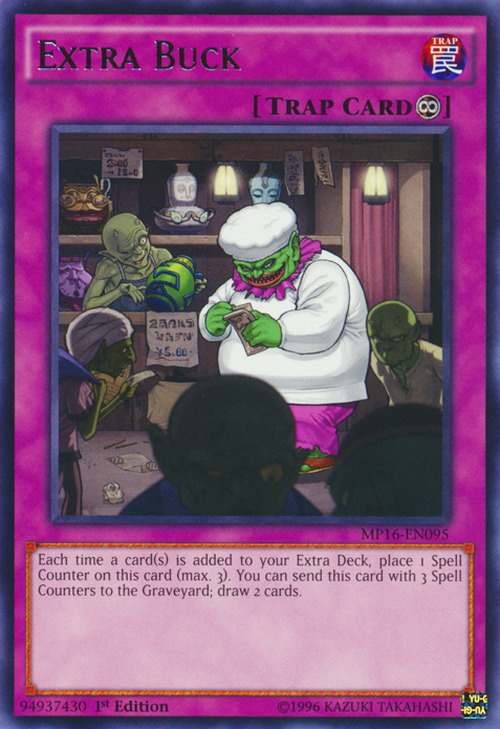 Goblin of Greed, Pot of Riches, Pot of Benevolence, Pot of Generosity, Pot of Avarice and Pot of Greed appear in this card's artwork. The events in this card's artwork appear to happen after the ones of Peeking Goblin.